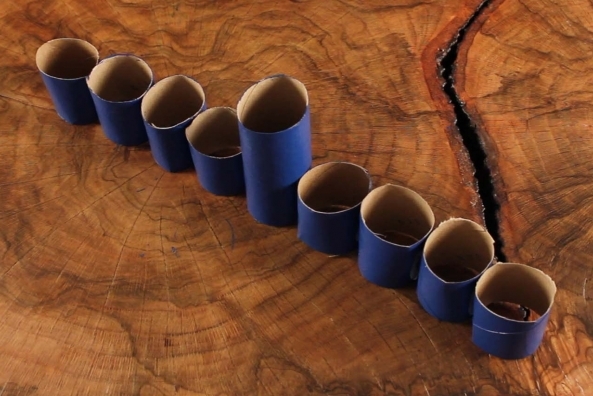 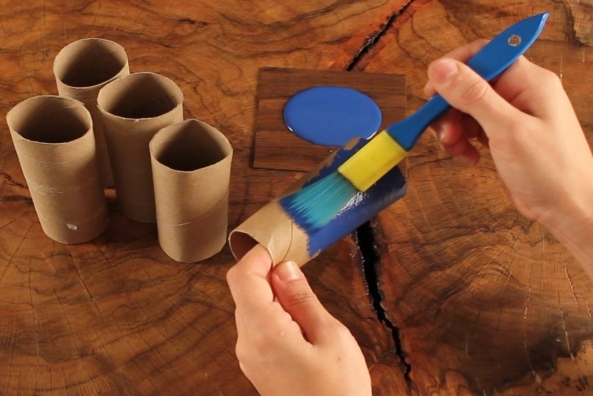 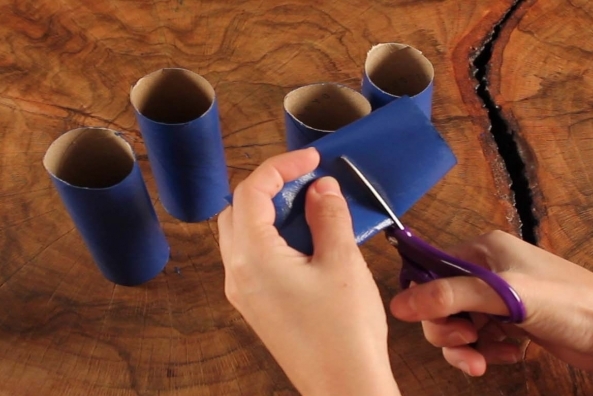 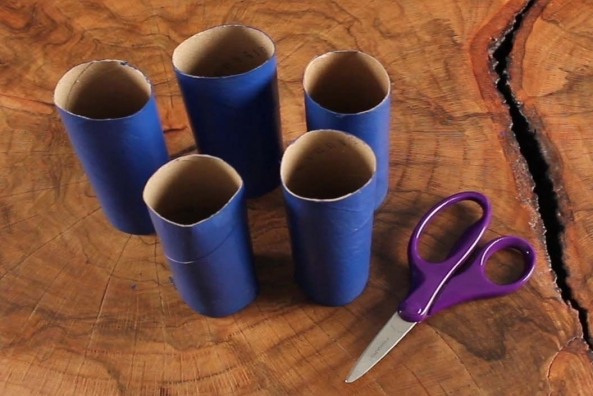 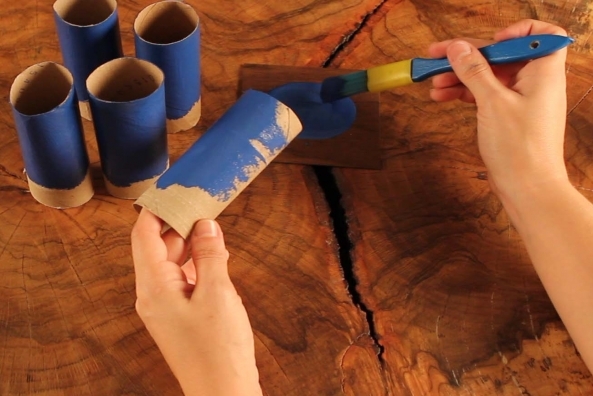 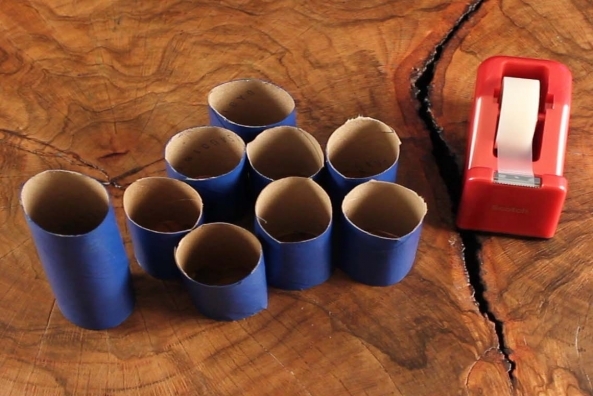 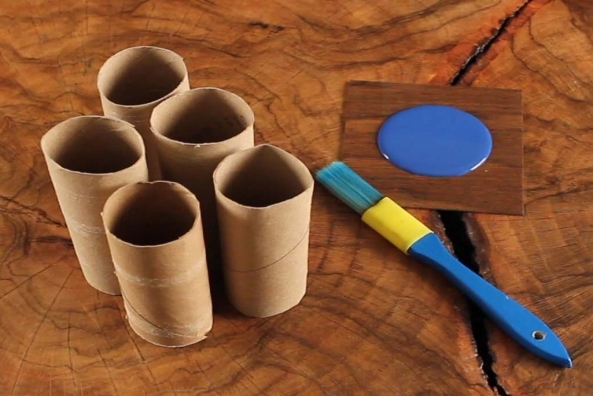 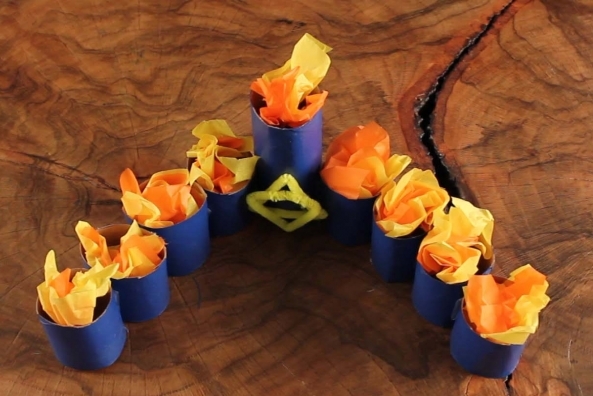 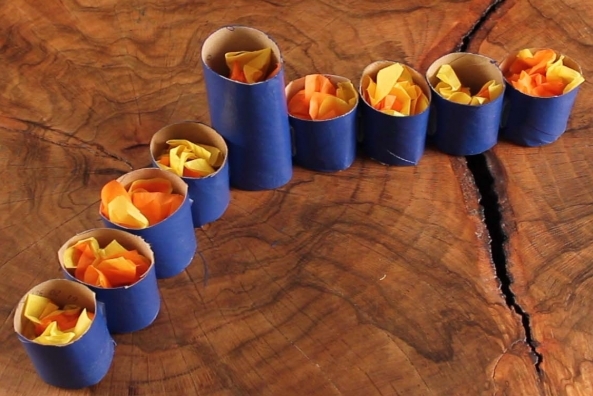 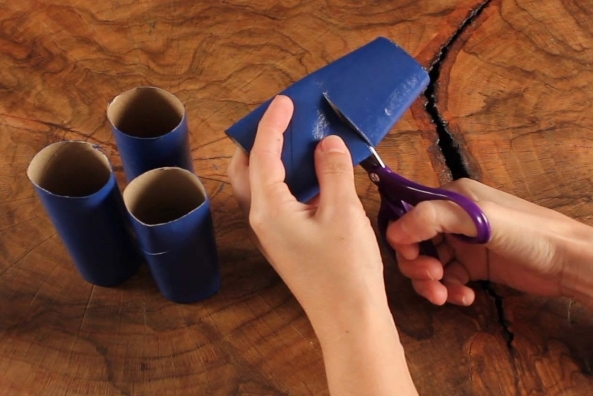 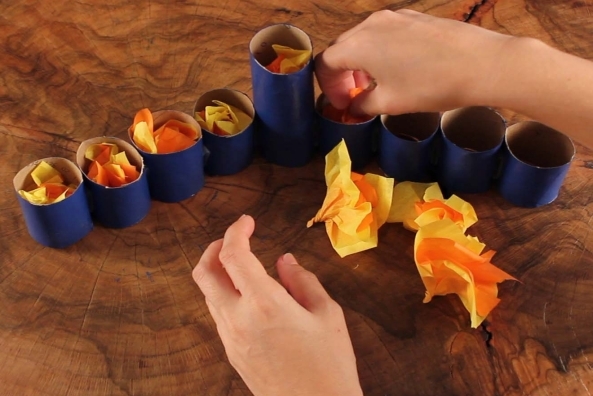 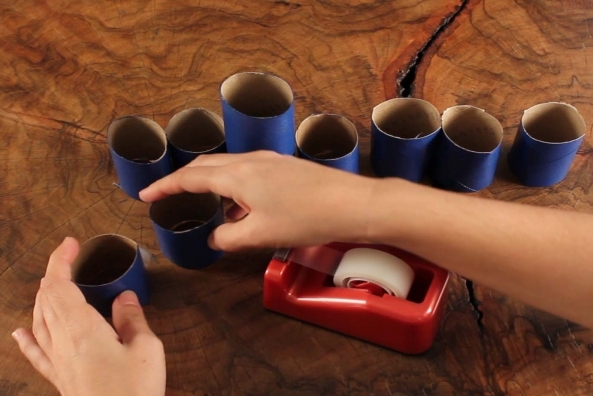 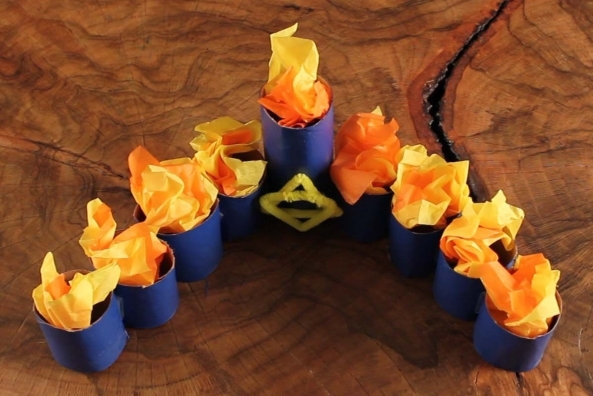 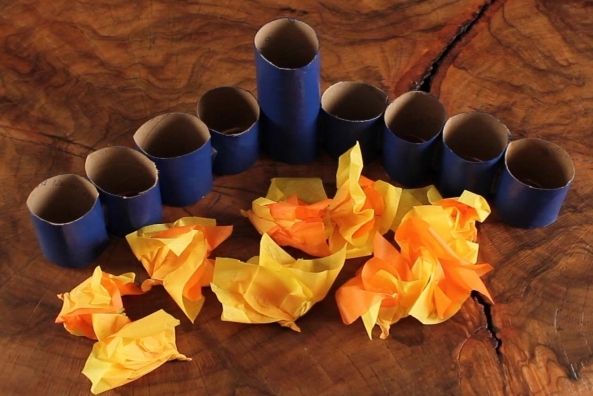 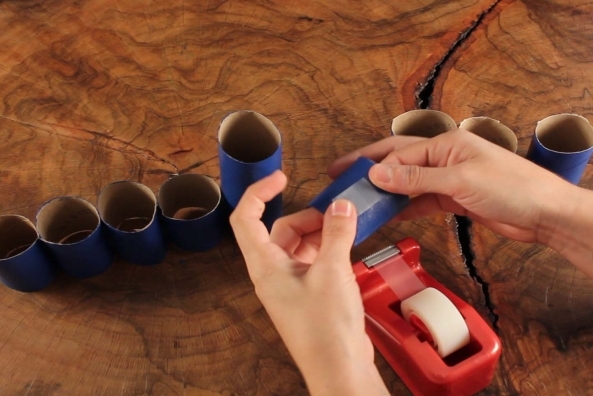 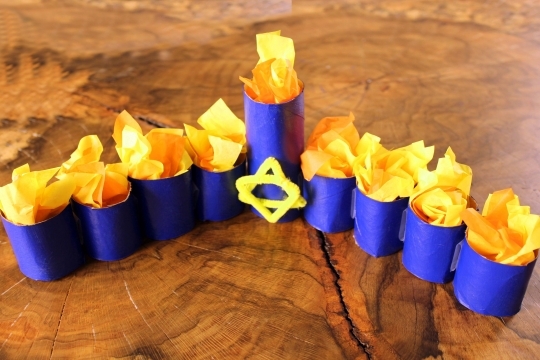 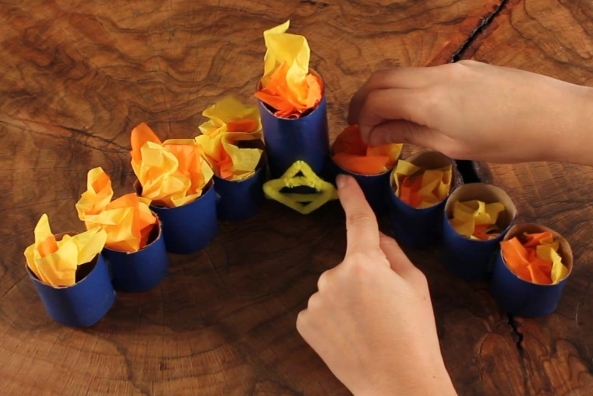 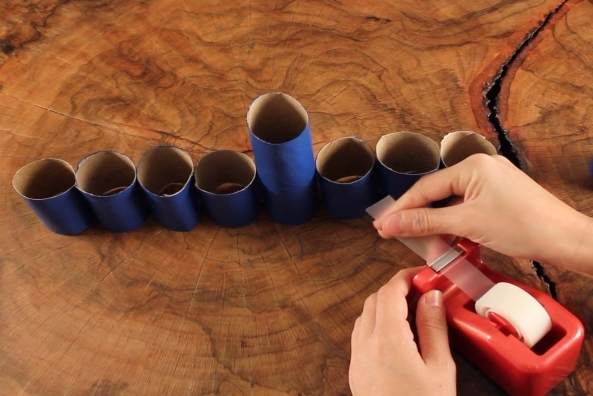 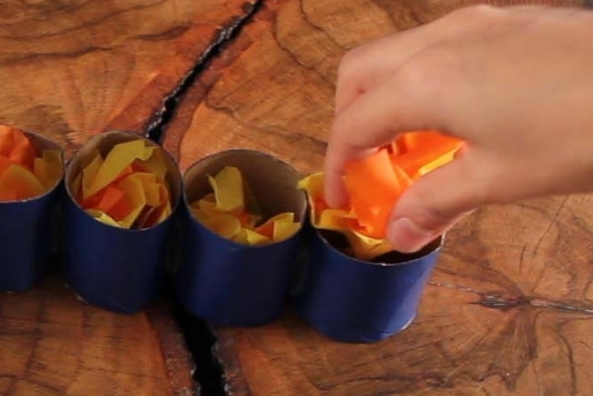 Collect paper tubes and make this working menorah you can use for all eight nights! 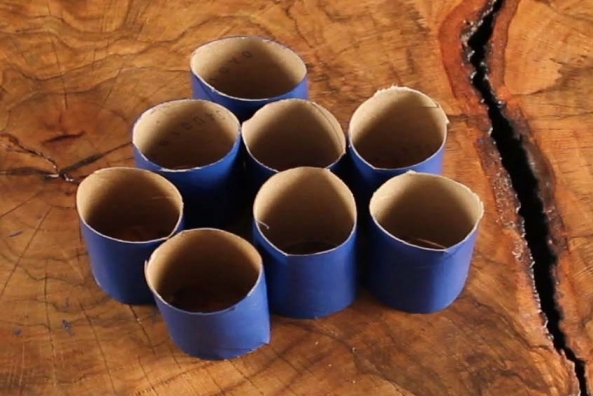 See how one man tricks 8 goblins. 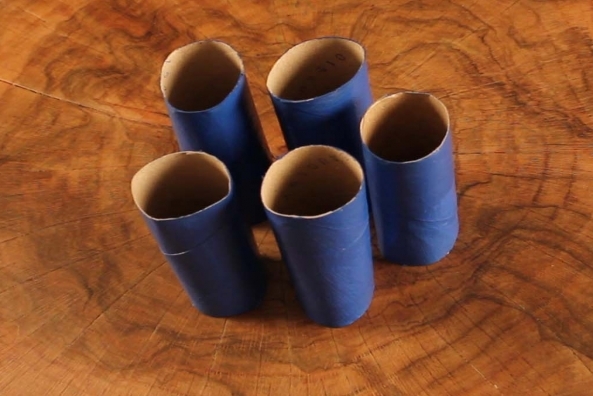 Cut four of the tubes in half. 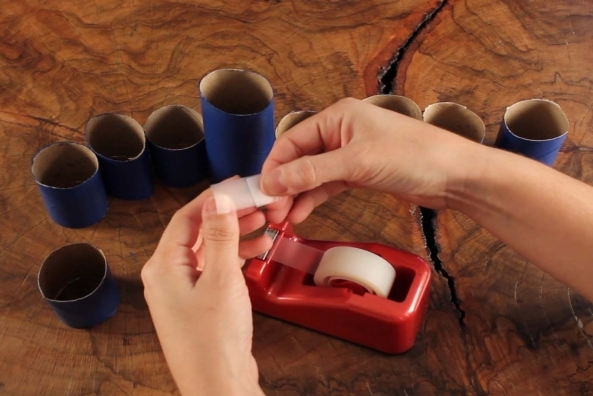 Tape the tubes together in this pattern- half tube, half tube, half tube, half tube, full tube, half tube, half tube, half tube, half tube. 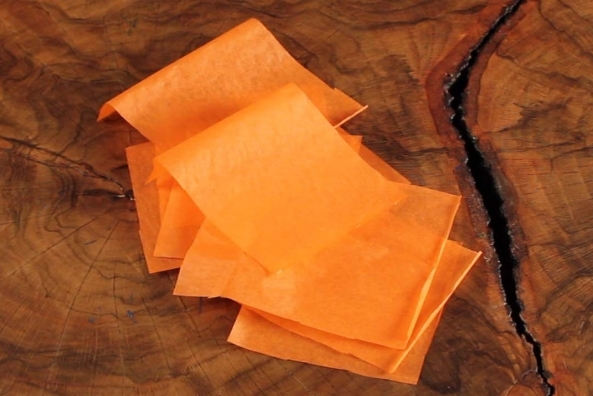 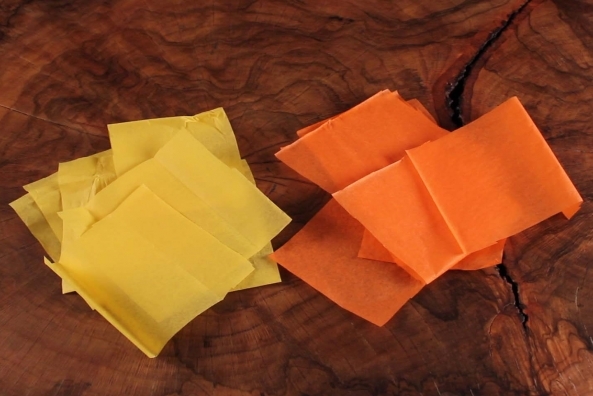 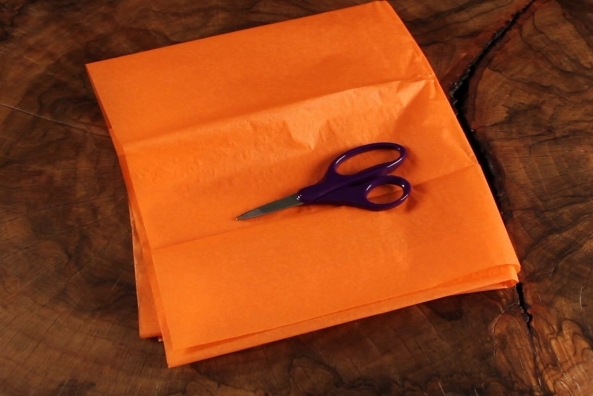 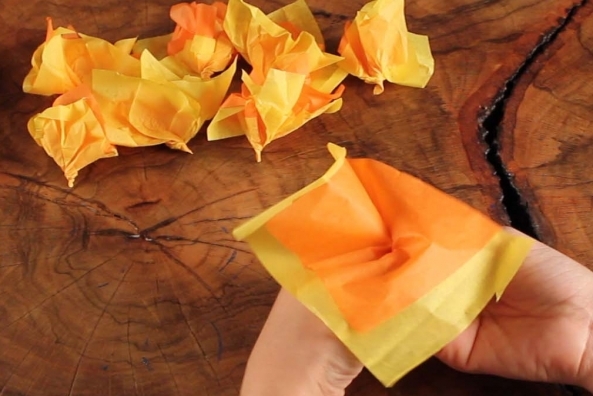 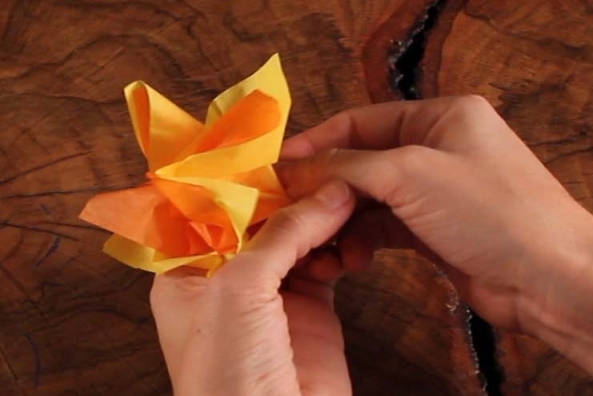 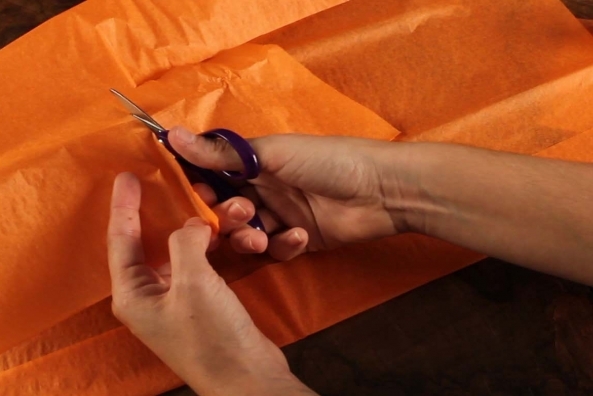 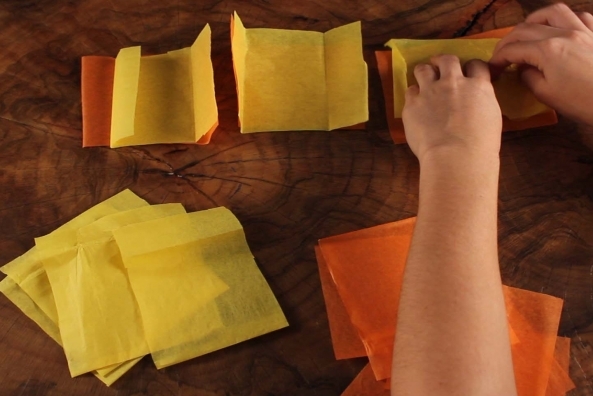 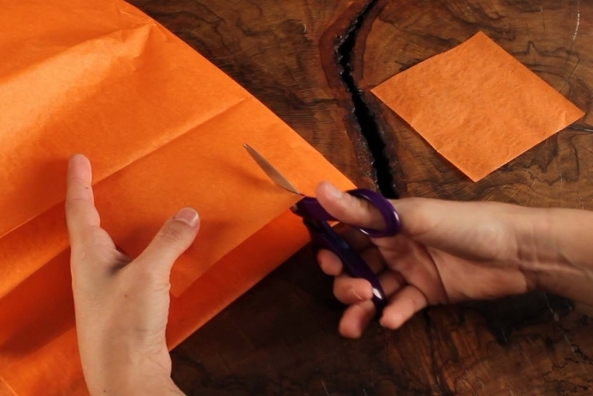 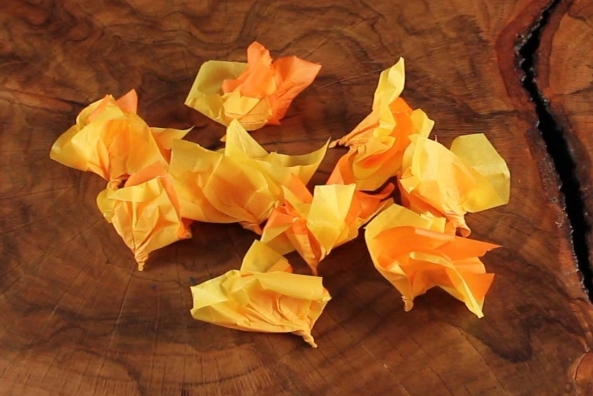 Cut out nine squares of orange tissue paper. 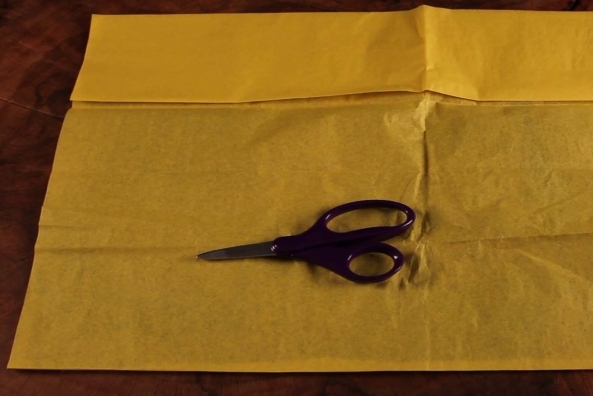 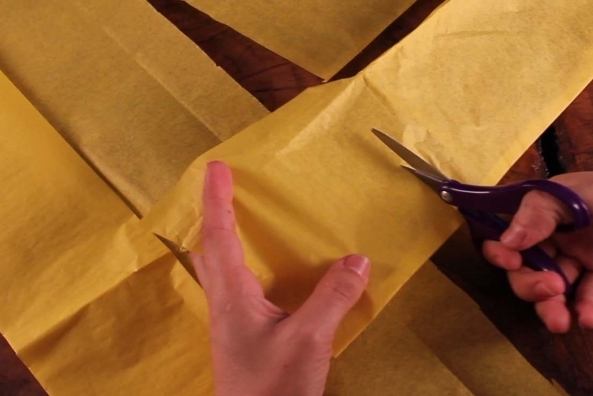 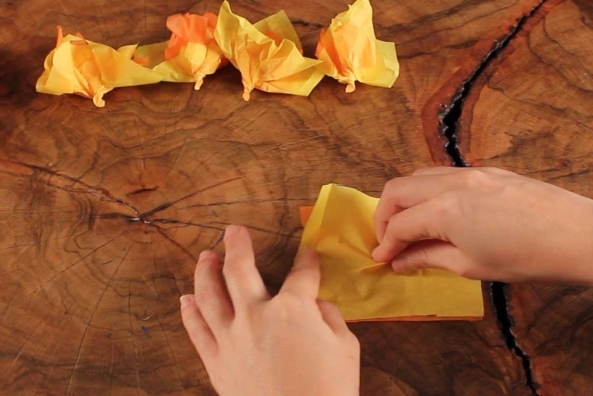 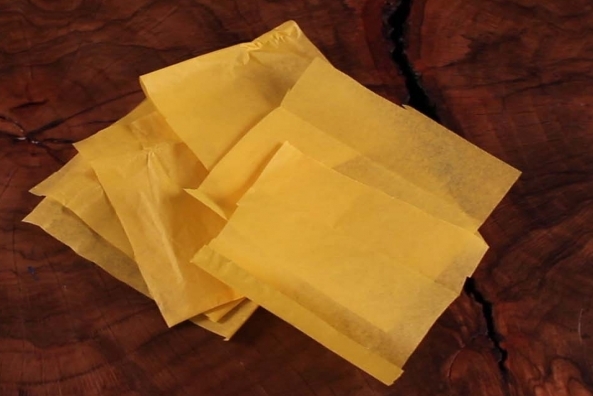 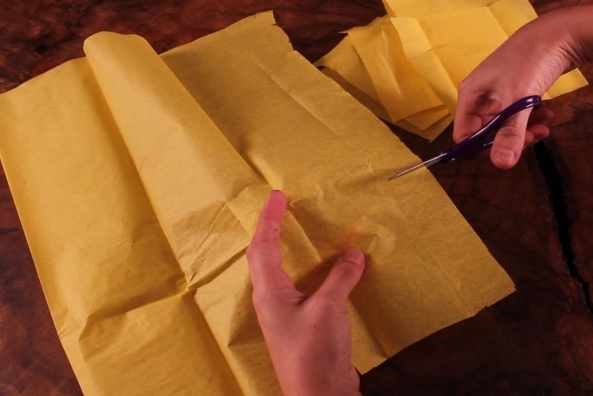 Cut out nine squares of yellow tissue paper. 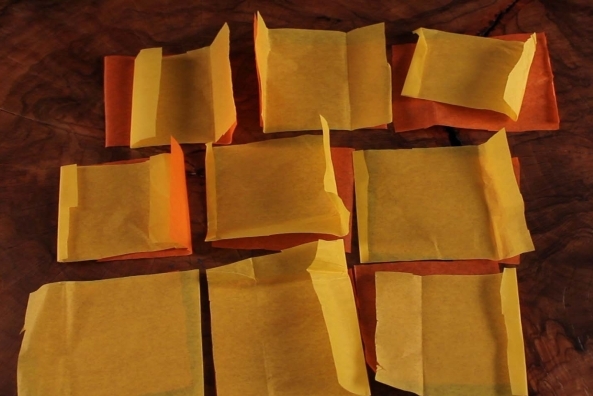 Place a yellow square on top of each orange square. 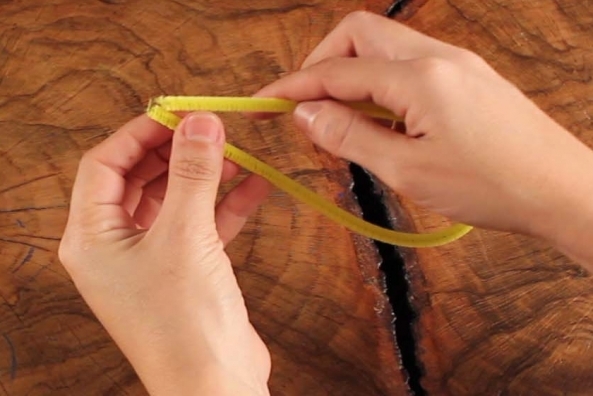 Pinch the center of the square and twist just enough to hold the two squares together. 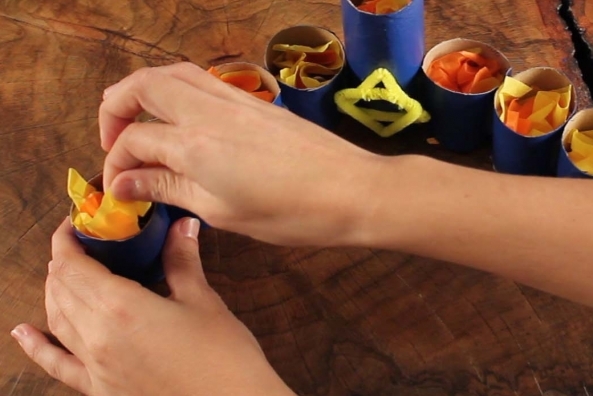 Stuff a yellow/orange tissue into each of the tubes. 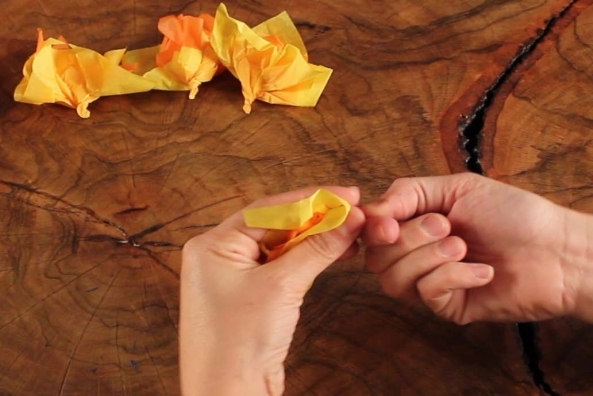 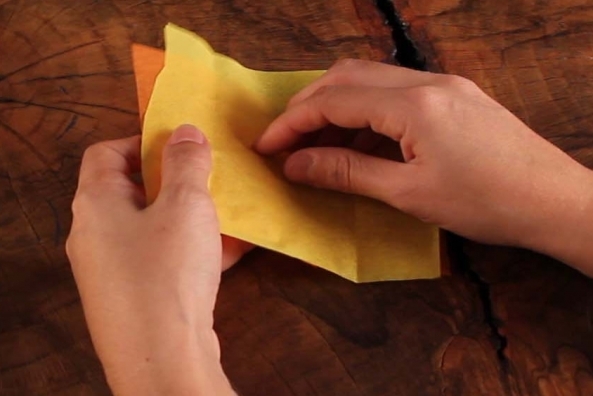 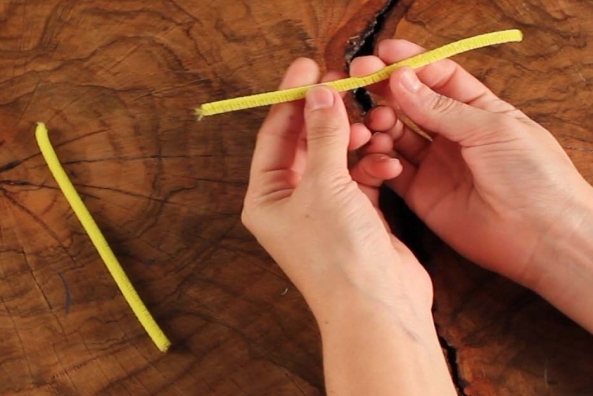 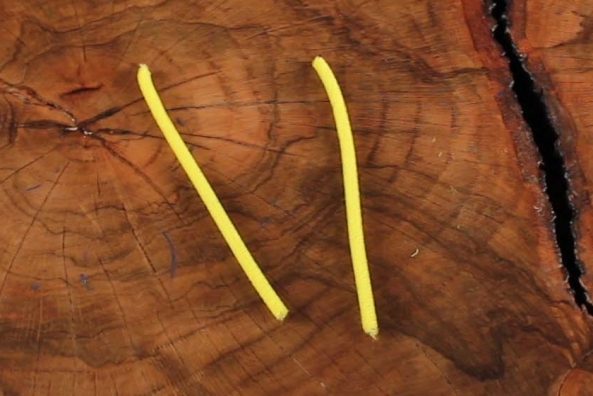 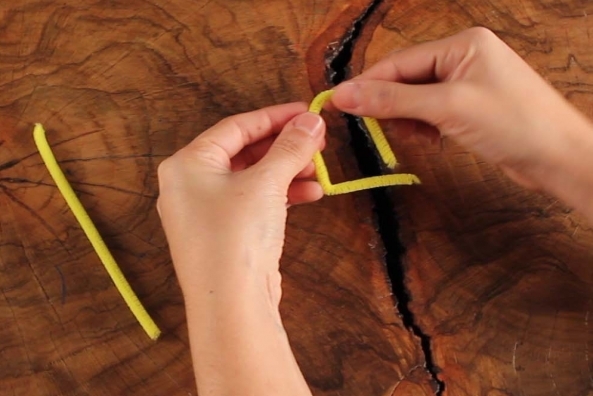 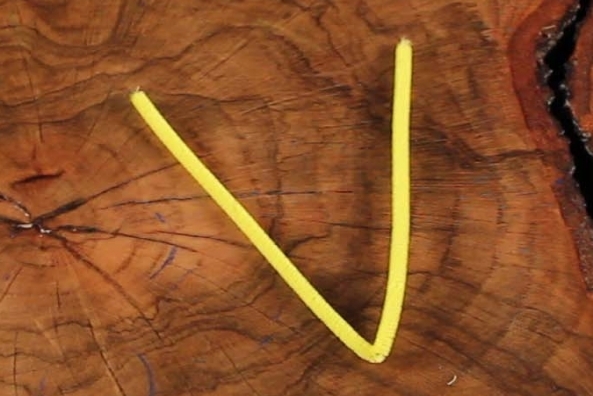 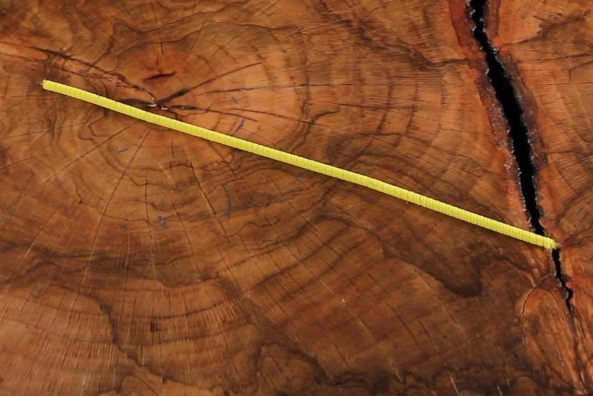 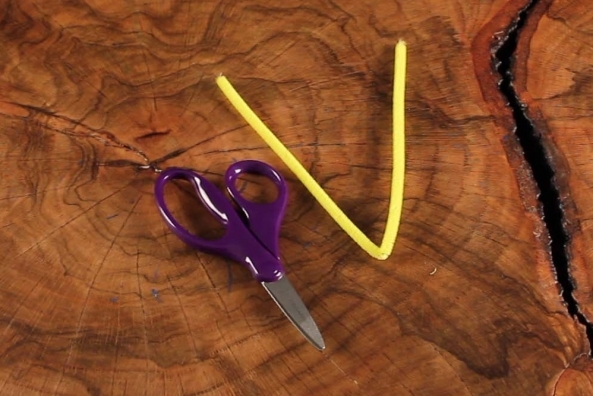 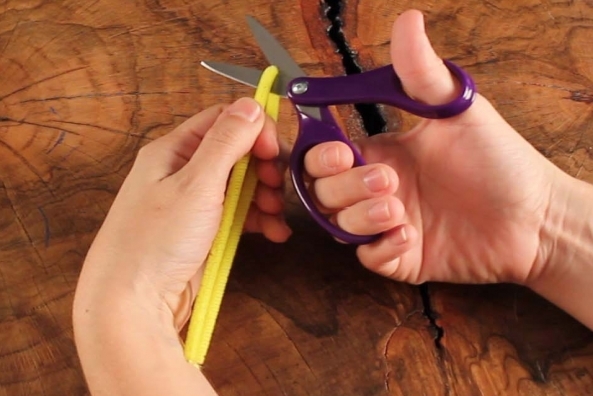 Bend a yellow pipe cleaner in half to make a V.
Cut the V to make two pieces. 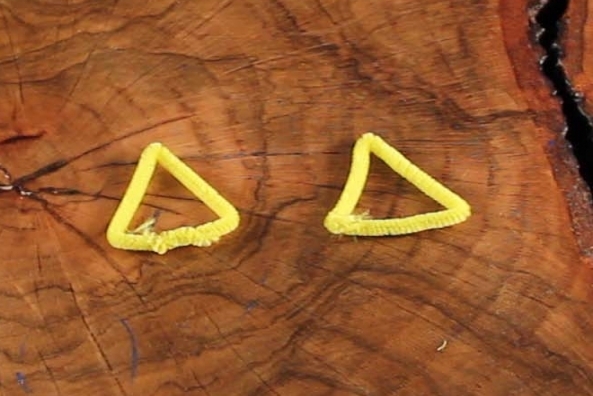 Bend each piece to make a triangle. 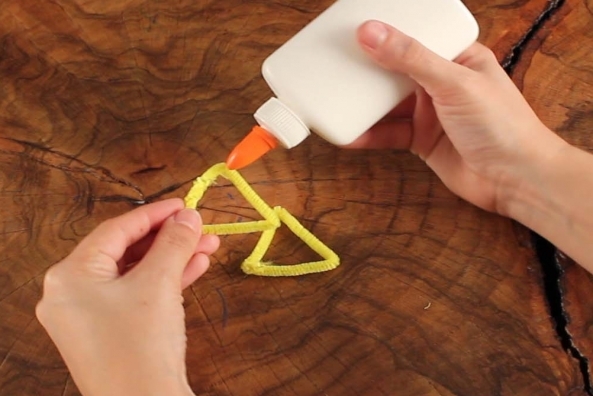 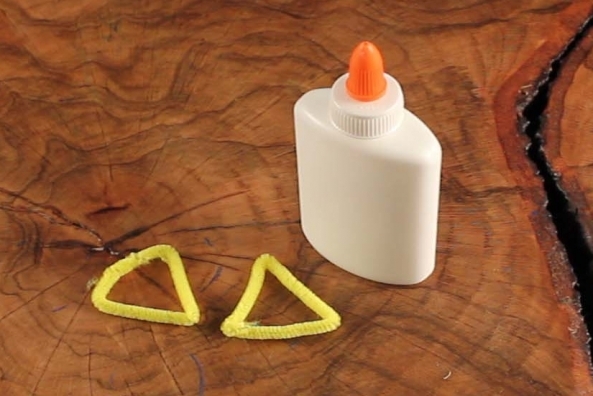 Glue the triangles together to make a 6-pointed star. 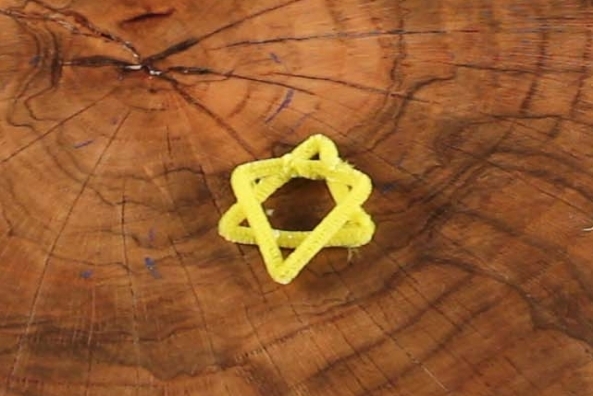 To make this star you will have one triangle right-side up and one upside down on top of each other. 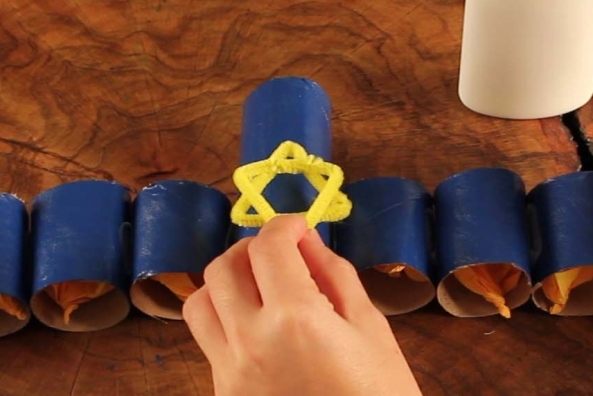 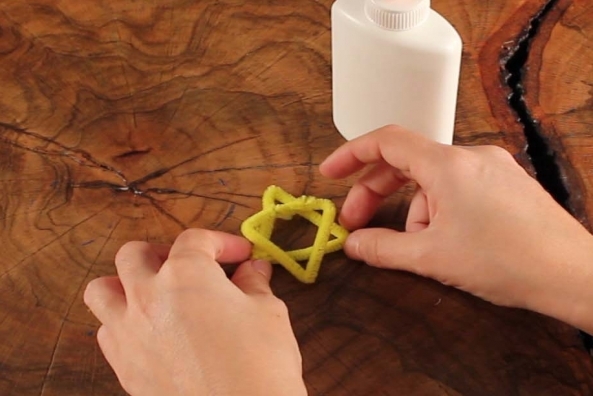 Glue the star onto the middle tube of your menorah. 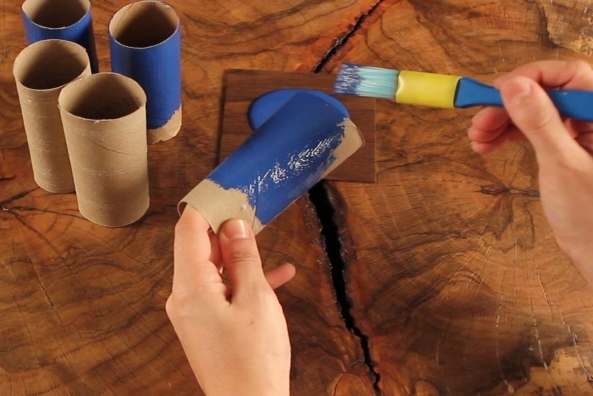 To use: Push all of the tissue down the tube so it is hidden. 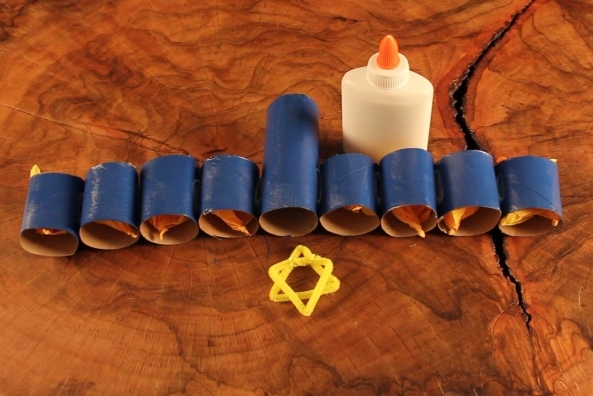 On each night of Hanukkahpull up the tissue just enough to be seen. 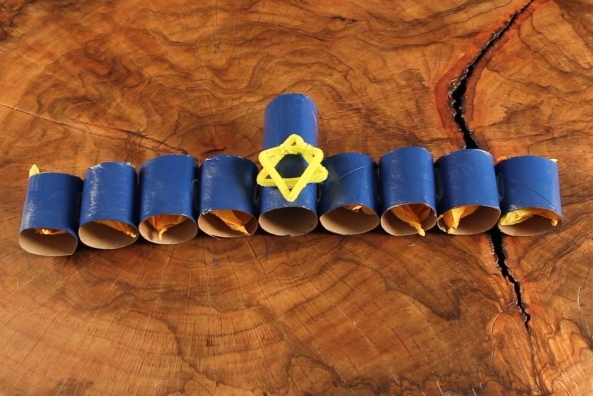 Continue doing this through all eight nights!